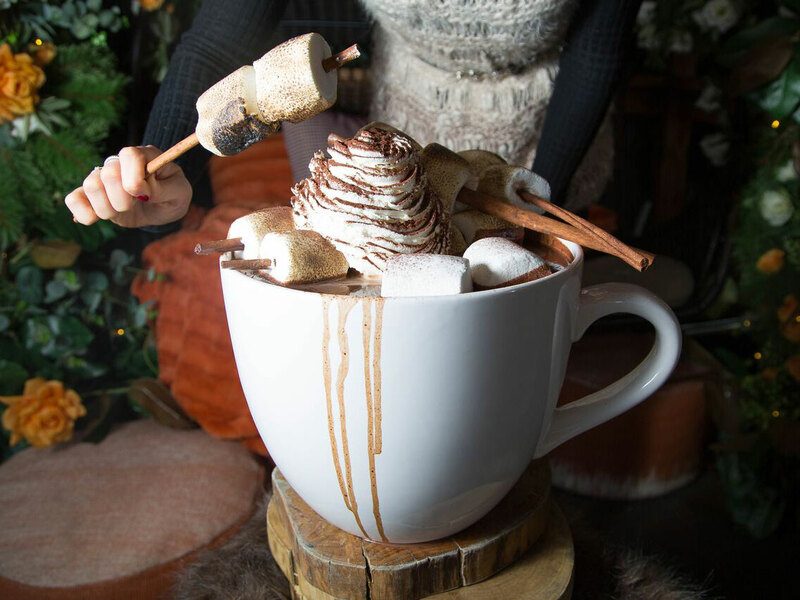 Would You Drink 20 Pounds of Hot Chocolate? What if it was spiked? Our collective thirst for increasingly outrageous (and Instagrammable) desserts has finally culminated in this: 20 pounds (and $375 worth) of hot chocolate, served in a oversize mug that would dwarf even The Rock (we know Dwayne Johnson loves himself a cheat day meal). We're here now. There's no turning back. 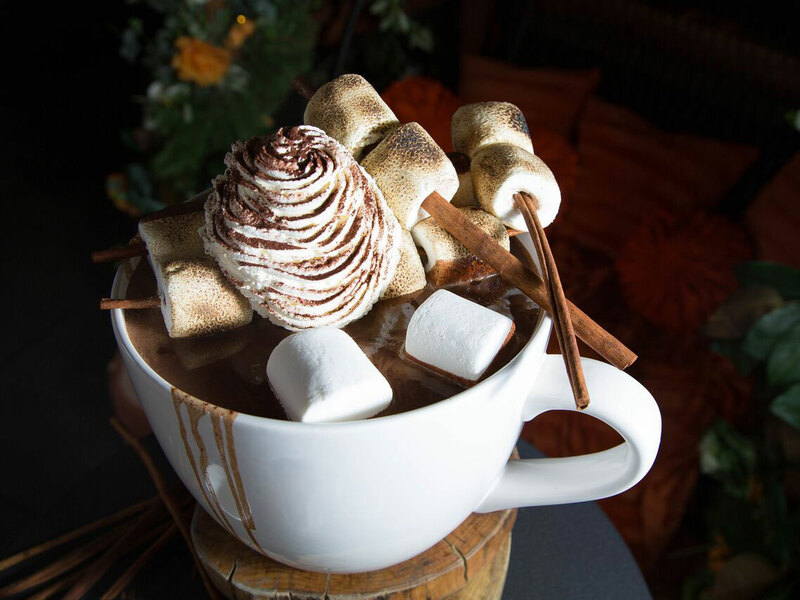 Yes, in honor of National Hot Chocolate Day, pastry chef Paola Marocchi has dreamed up a massive cocoa concoction for the PHD Terrace at New York City's Midtown Dream hotel. Made with Valrhona’s extra bitter 61 percent chocolate, Jivara chocolate, giant charred marshmallows, cinnamon sticks, homemade whipped cream, and spicy cocoa powder, the drink can be spiked with tequila (Casamigos Añejo) mescal (Ilegal Reposado), cognac (Hennessy VS) or whiskey (Woodford Reserve). You pick your poison when you make a reservation, and PHD Terrace suggests pre-ordering the drink two days in advance. It's truly a thing to behold, isn't it? Marocchi's masterpiece, which serves up to 22 people, is available from Thursday, January 31 through Thursday, February 14 (yes, Valentine's Day). Of course, if you can't wait two weeks—or, if you're already frozen in terror thinking of the endless email thread that would be required to coax 22 people into showing up in the same place at the same time ("Sooo sorry, this week is crazy! Can everyone do 1:45 p.m. next Wednesday? Also, I'm allergic to marshmallows! ")—you can always DIY some boozy hot chocolate at home. When done right, red wine and hot chocolate make a top notch winter cocktail (according to Jacques Torres, the key is to use real, high quality chocolate rather than cocoa powder), and chartreuse and hot cocoa is another unexpected combo that really works (simmering the ingredients with a vanilla bean—split lengthwise, seeds scraped—adds extra depth). Or, you could go the classic route with rum and hot chocolate (make sure to use milk and cream). For more of our favorite hot chocolate recipes (both spiked and not), head here.